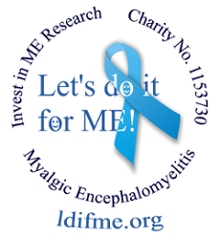 It's easy to nominate Invest in ME as Cause of the Month for September on the Easyfundraising site to win a £200 donation from Viking. 1. Post a comment on the site to tell them about Invest in ME and why you think they should be Cause of the Month. 2. On Monday September 19th, they will announce a shortlist of 10 causes and ask you all to vote for the one you would like to win. 3. The voting closes at Midday (12 noon) on September 30th and the cause with the most votes fairly cast will win a £200 donation from Viking. Please make sure you abide by their terms and conditions. We will post news here if Invest in ME makes it to the shortlist on 19th and then needs your vote. Click here to nominate Invest in ME for Viking's Cause of the Month on Easyfundraising.